Starting to read OSHOS book “Joy” for very long time I cannot to get used to very many said thing and thoughts in this book. That book simply annoyed me. I thought, similar feeling could take over many readers, especially those, who know about Buddhism philosophy very less. However, under the spur of curiosity, I carefully explored this book, although through some kind of critical prism. Further described discrepancies are not quite discrepancies. Sooner thoughts, which I didn’t understand or I’m not realized them yet and answers, on which I can’t find neither in the book, neither in some of read Osho talks, which are found in home page for studying. Trees are happy just because, they can’t be unhappy. Knoll happiness – it is not their freedom they need to be happy, they have no other alternative. Pretty authoritative observation, which, in its base, is subjective. Understanding, of every individual, about happiness is different, although, I agree, there are some signs, where you can notice is or isn’t person happy. But how can you think out these signs to beings and creatures, which human hasn’t ever been? Only if we think on the supposition that everything, which exists, is happy and that happiness (beatitude) is in base of everything. Every child from the begging we poison with this competition venom. Then, when he comes out of university, he’s poisoned fully. American constitution has inspired an idea to all Americans, which they need to tend to be happy, “to dash after”. Not knowing them (who wrote in constitution, that tend to be happy is right from birth], I can say – he was unhappy person. 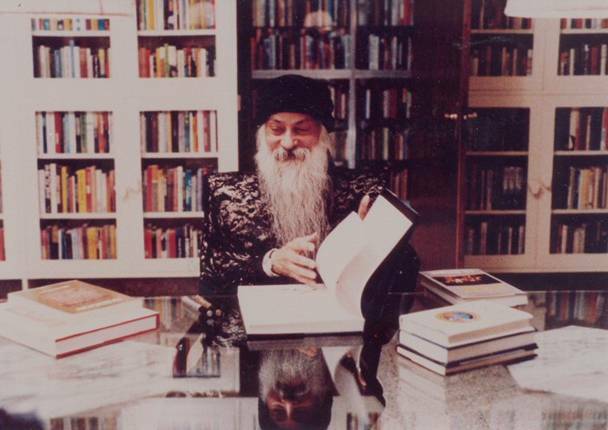 It is not clear, about Osho is – against that human has rights to tend after happiness, or against that, that it is written in USA constitution, but maybe against USA like system, for all that Osho has lived there some part of his life. Osho theory aim is happy and free person. Obviously the key is in word “tend”. But if person haven’t discovered blessedness what then is in motivation base? Releasing from symbol world means releasing from society. [..] Symbolic isn’t real. Similar idea appears in relationship with family. Releasing from family and living up with yourself now and here in carelessness. Only question – what you should do with small children, who can’t wait endlessly, while their parents will “find themselves”. Everybody wants big strains. If you don’t lack your personal problems, you start to think about mankind, about world destinies. …and what Honorable teacher looked after in USA? Buda looked after happiness running away from palace. […] He fully disposed of wish… and in that moment it happened. In that moment came blessing. Buda “looked after” for this blessing for years. And he did it in an appropriate decision – acquiring different knowledge with different teachers, And only after the, when all there varieties were known, understood, that need to be free from wish and has a blessing. There are two “but”. First – Buda was very rich and he had retirement road variety, he was always welcomed back in the palace. Second – in searching time he had very many skills, which hardly did non-targeted. Trees and animals are happy without ambition, competition and looking after the material. Human is made with consciousness and his EGO, and like social being. Refusing from all that, human could be primitive being. And instead of all that, thinking about esoteric thing and looking for himself, he needs to look after his descendants, go hunting every day or find some food in some other way. I don’t know if human like that, could feel happy. AIDS like a disease, after Osho opinion, is nothing like lost humans wishes to live. In Osho web page you can read that in recreational centers, those who are infected with HIV, are not let in. Living 4 years in Mumbai, thanks to hot, wet climate, Osho health was very broken. Diabetes and other different allergies progressed, and that’s why he with all his followers moved to Poona. We need to mention that illness was the truly reason that he moved to USA, where after some different fraud investigation he was outcast. Probably, there is something fundamental, which I don’t understand in philosophy, but, in my opinion, human is made (originated) not without a reason with consciousness and his EGO. And it’s naïve to think, that these characters are made without reason. What’s true, that intellect is very strong instrument and can make human not just happy, bet can cause suffering too. It’s true, that if don’t own nothing, you can’t lose it, if you don’t love anybody, and there won’t be no divorcing too. In my opinion, human, which refuses from social, EGO and thinking, becomes obsessed with his I looking, there’s very big allurement to become an egoistic. And known “blessing” will be just like fool’s paradise and self-sacrifice in somebodies care. Of course, a person like this, has rights to be happy and human like this, probably will feel blessing feeling, but what price will society pay?